Earlier in the year it was reported that financial technology provider First Derivatives was expanding its “big data” services to enter new markets with the launch of Delta Marketing Cloud. The diversification was on the heels of their taking a larger ownership stake in Kx Systems, a data analytics solutions provider. 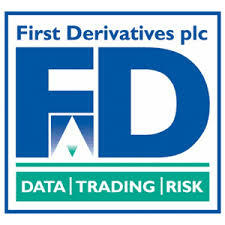 Following on their expansion plans, First Derivatives has announced that they are raising £15.3 million in a secondary placement of 1,177,003 shares at £13 per share. The placing is being undertaken by Charles Stanley Securities and Goodbody, with shares sold to new and existing institutional investors. Following the sale, First Derivatives expects net proceeds of £14.7 million which will be used to “pursue certain additional growth opportunities which the Board has identified.” Included in these opportunities are strengthening market share in the financial sector as well as providing capital assistance for their big data plans into new verticals. In its plans for new markets, First Derivatives stated plans of partnerships and acquisitions. As such, it can be expected that First Derivatives may continue to buy technology assets in the data analytics sector. The placement will take place in two tranches. The first sale, which will include 977,000 shares that the firm currently has authorization to place, will take place next week. The second sale of 200,003 is pending shareholder approval at First Derivatives General Meeting which takes place on March 3rd.